Beetroots, commonly known as beets. They are delicious, Colorful and full with Benefits for us, so easy to add to our diet. Beets are packed with healthy nutrients, like five essential vitamins, calcium, iron, potassium, and protein. The most powerful health benefits of beets include their ability to lower blood pressure, improve digestion, boost athletic performance. They also improve blood circulation, aid in skin care, prevent cataract, build immunity, and treat respiratory problems. Beets contain a group of phytonutrients called betalains that support detoxification through an important phase 2 detox step in the liver. When your liver is able to detoxify chemicals and toxins more effectively, then your body is better able to balance hormones, cholesterol and energy levels. The green tops of beets contain vitamins and minerals such as calcium and vitamin K, which help to prevent bone loss. Don’t just throw them away, you can use them. 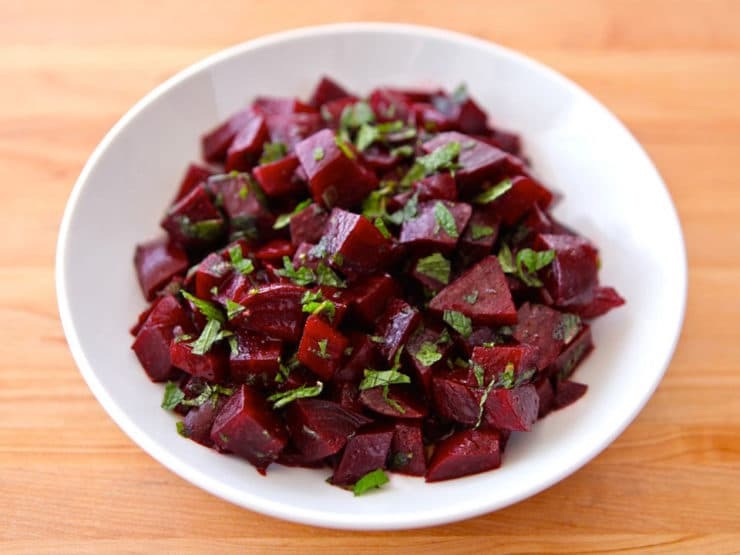 Beets contain a high concentration of nitrates, which have a blood pressure-lowering effect. This may lead to a reduced risk of heart attacks, heart failure and stroke. Beets are a good source of fiber, which is beneficial for digestive health, as well as reducing the risk of a number of chronic health conditions. Beetroots have been linked to improving poor digestion by exciting the nerves in the intestines and enhancing the body’s ability to digest food. A cup of beetroot contains 3.4 grams of fiber, which makes beets a good source of fiber. Beets help you detox and lose weight because they contain no fat and are a good source of dietary fiber — half soluble and half insoluble. These two types help fight fat by maintaining proper bowel function and lowering cholesterol levels for weight loss. Similarly, beets are rich in magnesium, a mineral that supports optimal nerve and muscle functioning, which could be beneficial for losing weight.